To achieve the Millennium Development Goals (MDGs) targeted at increasing the rate of children’s survival, the Wife of the Governor of Ogun State, Mrs. Olufunso Amosun has appealed to children to wash their hands and body regularly to prevent infectious diseases caused by germs. She advised the students to always maintain a clean environment by avoiding unhygienic places; washing of their hands with soap and clean water after using the toilet, and before preparing food or eating and among others. Speaking during the 2013 De-worming Exercise organised by the wife of the governor in collaboration with Emzor Group for school children in Ogun State held at Obafemi/Owode Town Hall in Obafemi/Owode Local Government area of the state, Mrs. Amosun urged children to always avoid all forms of habits that could affect their health. She explained the de-worming exercise was embarked upon to rid school age children of intestinal worms which could cause mental and physical retardation, poor health and low blood levels, saying, the state government was committed to implementing a sustainable health care programme for the people, particularly children who are the future leaders. Mrs. Amosun added the programme was to reach school aged children across the state particularly in areas where children are more pre-disposed to worms, urging children to avoid sucking and biting their fingernails as well as putting dirty objects in their mouth as such things could have been contaminated. According to her, “Our children are the future of leaders and it is important that we secure their lives by safeguarding their right to quality health care. So, we have laid down plans in conjunction with Emzor Group to conduct an extensive de-worming exercise across the state. Our desire is to lay a solid foundation for children by de-worming them periodically to enhance their health and well-being.” Also speaking at the event, the Group Managing Director of Emzor Group, Dr. (Mrs.) Stella Okoli said “worms are enemies not just to children but the whole family,” adding that “worms are very often referred to as enemies within.” “Most of these worms live in the intestinal tract where they compete with you for food, causing malnutrition and other health problems. Children are obviously at greater risk in terms of morbidity associated with heavy worm burden. 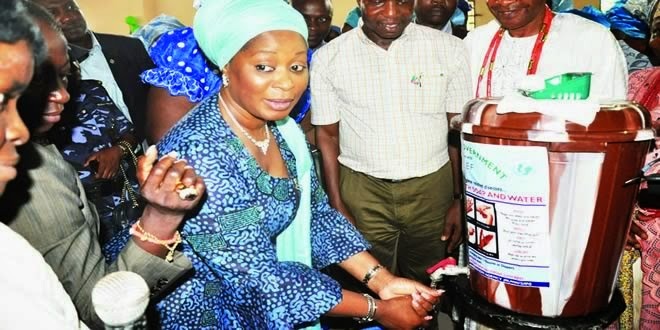 Over 30,000 de-worming kits have been donated to public schools in Ogun State for the 2013 De-worming Exercise,” she said. Over 500 school children drawn from across the state were present at the occasion. The highlight of the programme was the symbolic administration of the de-worming drugs on the school children by the wife of the governor, Emzor Group, officials from the state Ministries of Health and Education and among others.